A book about a prince and a farm boy who fall in love was released today. 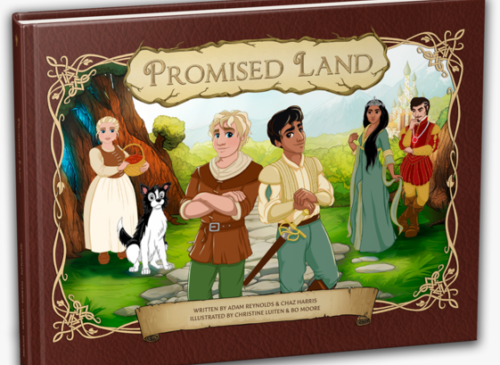 Promised Land is a project by two New Zealand friends, Chaz Harris and Adam Reynolds, that raised nearly 50,000 NZD (about $36,000) on Kickstarter to produce the book. “A lot of kids today don’t have a problem with it. It’s really just if their parents tell them ‘Two boys can love two boys, two girls can love two girls’,” Reynolds told 1NewsNow. One day they met, and what happened next? The book is available on Amazon, iBook, and on the book’s website, in English, Spanish, and Portuguese. Italian and Maori translations are coming.